Josephine Lukito is a Ph.D. student studying language and power in media texts. She is a mixed-methods researcher, specializing in critical discourse analysis, human-coded content analysis, and syntactic natural language processing tools. Past projects include a frame analysis of China in U.S. opinion articles, an experiment on language imitation as a media effect, several studies on the linguistic-intergroup bias in U.S. news, and applications of syntax to machine learning algorithms. 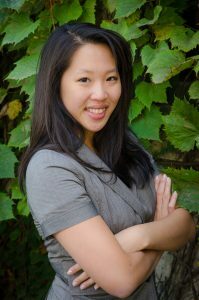 Her recent work focuses on identifying passive voice construction and subject-verb inversions in English news writing. Josephine is also associated with the following research groups: SMAD, MCRC, Qualitative Methods, and Computational Methods. Josephine holds an M.A. in Media Studies from the Newhouse School of Communication, Syracuse University. She received her B.A. in Communication and Political Science at the State University of New York at Geneseo.